not from the high temperatures, but the heat of passion. When NPR asked their listeners for their favorite romance books they had so many replies that they had to close the poll early! You’ll find 100 romances from bodice rippers to YA to LGBT to fantasy, and more. NPR has included a printable list for you to take to the library or Friends Book Sale (August 14-15). Drained by the heat? Relax & reenergize with one of Ocee's classes. Sundays, August 2, 9, 16, 23, 30. 4:30 p.m.
Dahn Yoga is a combination of stretching, breathing and meditation. Mondays, August 3, 10, 17, 24, 31. 10:00 a.m.
A great way to help you relax and keep fit! Beginners welcome! Led by Angela Young. Mondays, August 3, 10, 17, 24, 31. 11:00 a.m.
Fridays, August 7, 14, 21, 28. 11:00 a.m.
Patricia Gagne incorporates relaxation exercises, reflective reading and meditation in addressing real life issues. Adults only. Stock up for the cooler days ahead! Maybe you’ll get an early start on your holiday shopping, too? We have a larger than usual selection of kids’ books for this sale. Prices are 50 cents for all kids books, $1 softcover, and $2 hardback. Cash and checks only. Money raised from Friends Book Sales help fund programs and buy materials for Ocee library. Most of us toss junk mail without a thought. When a Utah postman was asked for more by 12 year old Mathew Flores he was puzzled. "Today while delivering mail to his apartment complex, I saw him reading ads, and then he asked me if I had any extra mail he could read," Lynch wrote. "He told me his wish is to have books to read. I told him the library had many, but he said they don't have a car, and couldn't afford the bus." Click here to find out what happened or here for KSL video. By the end of the week, all three of our new North Fulton branches will be open! The Alpharetta branch library opens in its new building this Thursday 30 July at 11 am! Their new location is 10 Park Plaza - Alpharetta 30009. Several of Ocee's staff has been transferred to the new branches, so you'll see some familiar faces. Still need to get in some summer reading for school? The Friends of Ocee Book Nook has selections from local high school summer reading lists. Better yet, they’re on SALE. The Book Nook is located just inside the entrance (in front of the self check out/holds). The Nook is open during regular library hours and operates on the honor system. Money from sales is used to fund library programs and to purchase books/materials. If you have books to donate, please leave them in the plastic bin outside the meeting room (by the water fountain). Wednesday, July 22. 10:30 a.m. Babies ages 0 to 2 and their parents are invited to attend these entertaining and educational programs. Learn how music teaches your baby early literacy skills, improves motor function and deepens the bond between baby and parent. Provides emergency assistance every 4th Wednesday of the month, particularly for families with transportation challenges. For more information or to apply online www.nfcchelp.org or call 770-640-0399 (ext. Thursday, July 23. 11:30 p.m.
Join Mr. Tariq and celebrate the success of reading during the summer! All ages. "I just wanted to let you know that when you come to TAB meetings you are technically volunteering. Your first meeting I will ask you to fill out a volunteer form (if you haven’t already). Once you bring that back to me, your volunteer hours will start counting for each TAB sponsored event you go to...That way, you will for sure start getting hours (which I know most of you need for Beta Club and even college applications and scholarships." Click the "Volunteering" tab above for info and links. The next Teen Advisory Board meeting is Thursday 13 August at 5 pm. July is National Ice Cream Month! Why not try making your own? You'll find recipes books for kids-in-the-kitchen, vegan, as well as "spirited" adult versions of frosty sweet summer treats at AFPLS. Grand opening - Milton Library! Thursday 16 July at 11:00 a.m. Here's 8 things, based on research, that make you happier! 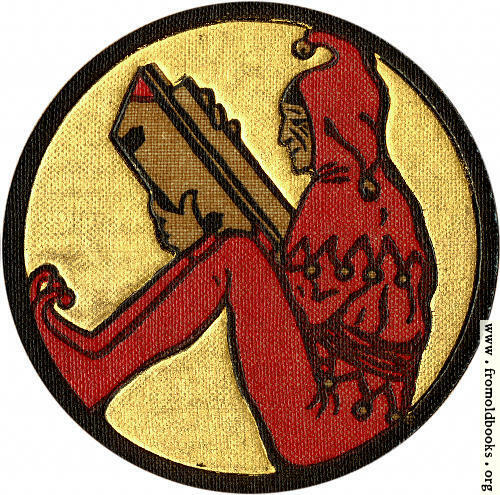 Reading isn't included, but the article lists several books on happiness. 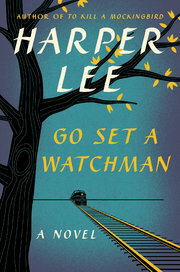 You can read (or listen to) the first chapter of Harper Lee's Go Set a Watchman here. The novel was written before Lee's To Kill a Mockingbird but takes place some 20 years later. The New York Times has a bit of a review (contains spoilers). Monday-Friday 20-24 July. 3-5 p.m.
Tuesday 14 July - 2 p.m.
Join us for a visit with local heroes from the Johns Creek Police Department. Police vehicles will be in our parking lot. Wednesday 16 July - 11 a.m. Ages 5-12. Experience the journeys of literary heroes and heroines as we bring to life stories from Greece, Russia, England, Africa and Native America. Explore the art of shadow puppetry in depth as you create your own puppet hero and embark on a shadow screen adventure. Thursday 16 July 2 p.m. Grades 1 to 5. Professional art instructors will conduct a creative art instruction program for elementary school-aged students. First come first served - ll imit 20. Ocee's new Young Adult librarian, Isaiah West, invites kids ages 12-18 to the Teen Advisory Board meeting Thursday 13 August at 5 pm. He'll be talking about Ocee's 3 NEW programs for teens and the Teen Book Club. Check back here for further details or check in with Mr West next time you're at the library!